Auto insurers price their policies based on a number of factors. Sometimes these cost factors go up, and sometimes they go down. In most states costs are currently rising. Your actions as a policyholder can affect what you pay, too. For instance, if you add another car, or a teenaged driver to your policy, your costs will increase. Alternatively, your costs will decrease if you drop either a car or a driver from your policy. But there are also other factors outside of your control that could cause rates to increase, such as the crashes other people are involved in. The number of crashes, and the cost of these crashes, are a component of auto insurance pricing in every state. For example, drivers living in large metropolitan areas are likely to pay more. This is simply because more cars, therefore more crowded roadways, increase the number of car crashes in those cities. On top of all that, speed limits are also being raised. Speed is the single biggest contributor to crashes in which driver error is cited as the cause. Distracted driving is an issue everywhere. In big cities and small, people texting, talking or otherwise occupied with another activity while driving is being blamed in part for more crashes. Auto insurance covers more than vehicle repair. It also covers the cost of injured crash victims’ medical care and lost wages as well as the repairs and/or replacement of vehicles and any property damaged in a crash. In recent years, medical and auto body repair costs have increased at a rate much faster than inflation. Legal costs have gone up as well. Another trend affecting the cost of auto insurance is that with the unemployment rate falling, more people are driving both to and from work. And with more disposable income, they are presumably driving more for leisure. They also have the means to purchase more expensive cars. And while many of these cars have all types of safety features that might help in accident avoidance, these cars’ often high tech components are also more expensive to fix and replace once damaged. 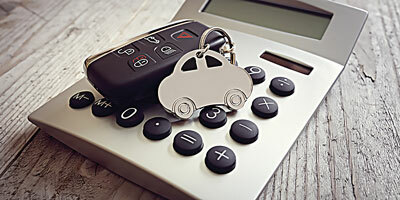 Consumers can take proactive and positive steps to reduce auto insurance costs. Talk to your insurance professional to make sure you’re getting all of the discounts to which you’re entitled. If you’re not satisfied, shop around to see if another auto insurer offers you a policy which meets your needs at a lower cost.